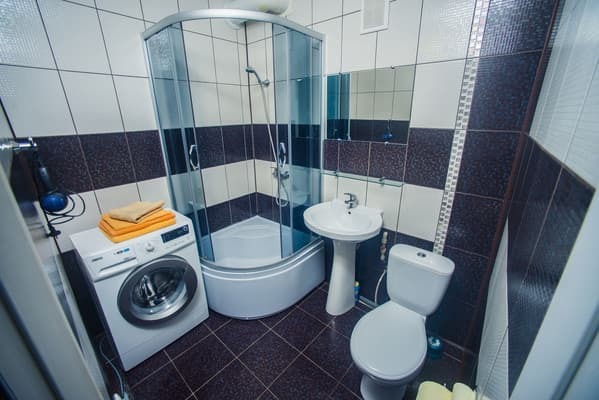 Two-room apartments "Lux on Independence" are located in the heart of Sumy. Guests are offered accommodation in a comfortable apartment with all amenities. The room is equipped with a double bed, a sofa, bedside tables, a coffee table, a wardrobe and an LED TV. For guests - ironing board with iron, washing machine. The kitchen is equipped with cooking and cooking equipment. Free Wi-Fi is available. A 10-minute walk from the house there is a paid guarded parking lot. Near the apartment "Lux on Independence" are a park, grocery stores, restaurants, banks. The distance to the railway station is 2.2 km, to the bus station - 3.5 km. Description of the room: One-bedroom apartment with modern renovation, equipped with comfortable furniture, as well as necessary for comfortable living with household and kitchen appliances. 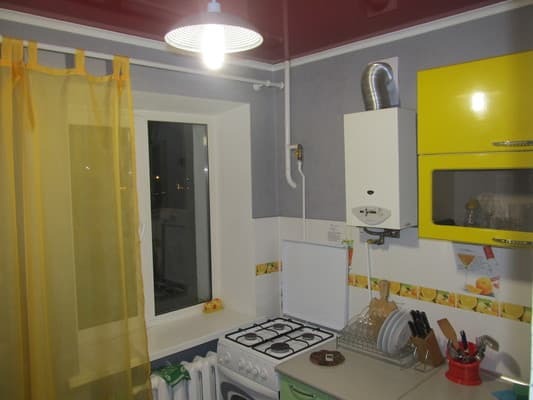 The apartments are located in the center of Sumy. The distance from the railway station is 2.2 km, from the bus station - 3.5 km. From the railway station you can get by bus №21, №14, from the bus station - by route buses №23, №15.